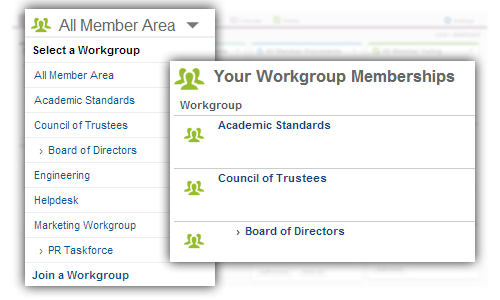 Private workgroups allow committees, boards, and teams to share ideas and content. 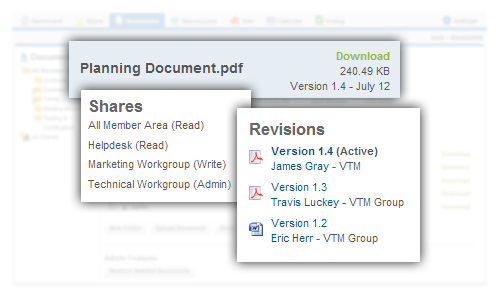 Workgroup members can easily share and revise files in the powerful document library. 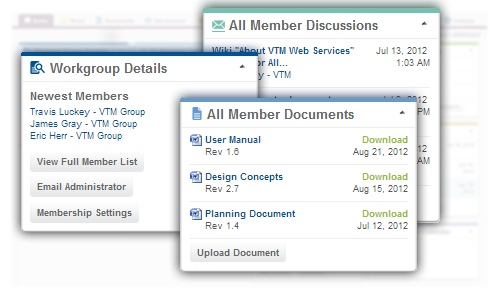 Workgroups have built-in email lists and users can create flexible stand-alone lists. 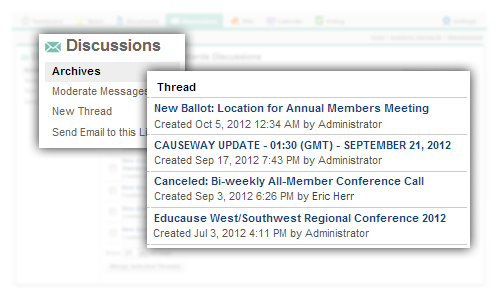 Easily schedule, RSVP, and track attendance to all committee meetings. 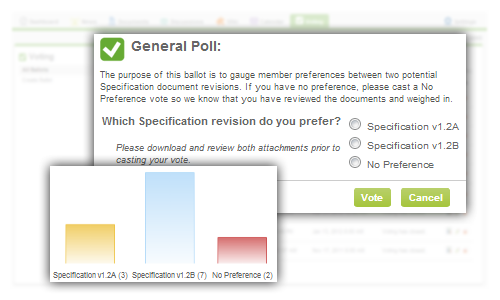 Conduct critical board elections or simply survey committee members. 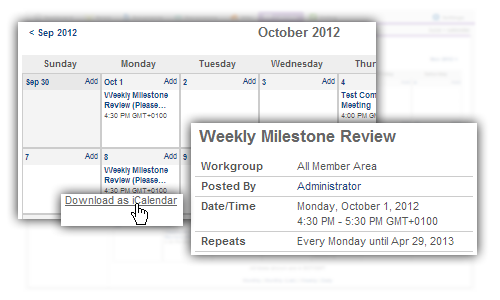 Create tasks, group them into projects, set reminders, and track progress. 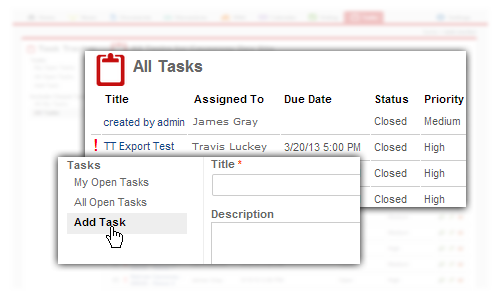 Easily collaborate on content without any uploading or downloading. 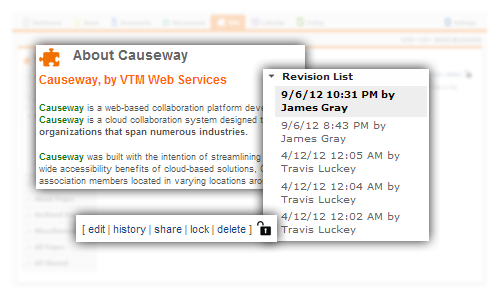 Share content between workgroups with Causeway's powerful sharing features.